Yes, Modern-Day Slavery Exists — What Are You Doing About It? In much of the Arab world, an archaic, unjust set of laws still exist. Known as mechanisms for modern-day slavery, kafala (visa sponsorship) laws are practiced with little regard for the safety of those most oppressed under these rules: migrant domestic workers. These workers are forbidden from leaving or changing employers in the country without their sponsor’s consent, in essence having their rights at the mercy of their initial employer. Lebanon is one such country where kafala laws remain stringent and unwavering. In the small Middle Eastern country, an average of two domestic workers die per week, mostly by way of suicide or unsuccessful escape attempts. 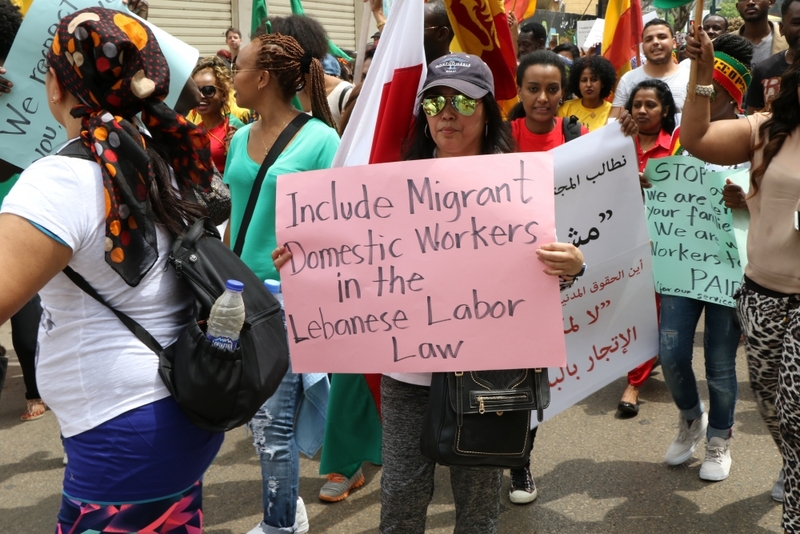 In Lebanon, a country of 4 million people, there are at the very least 250,000 migrant domestic workers. They make up one of the most vulnerable demographic groups in the country, mostly due to incredibly exploitative labor policies and a low socioeconomic status. They are excluded from the labor law (which regulates working hours and salary), and are instead governed by the kafala system, which is rife with opportunities for exploitation and oppression. In many instances, migrant domestic workers report that their employers confiscate their passports so they cannot run away, they sexually assault them, and they offer extremely inhumane working conditions, from starvation to being locked away for long periods of time. This kind of logic not only appalled a number of international followers of the beauty star, though many seemed to agree with her sentiments, but it shone a light on why the kafala system, state sanctioned modern-day slavery, has been allowed to persist: privilege and socioeconomic supremacy. It opens the door to a number of other sick practices, such as trafficking. Actual working conditions and treatment of workers aside, the belief that one has the right to confiscate the passport of another human being in case they want to leave, perhaps for emergency reasons, is simply inhumane and merciless.